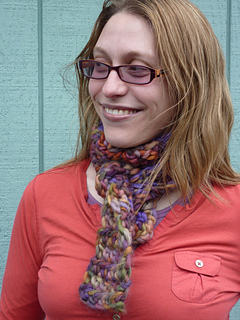 Here’s a simple pattern for an easy bulky scarf that I found fun and relaxing to crochet. 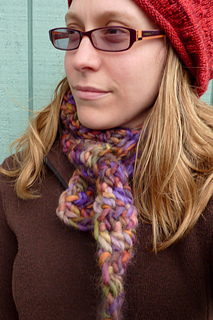 The bulky wool feels wonderful on oyur finbers and a variegated yarn helps keep your interest with the repetitive stitches. The skein I chose has muted oranges, reds and purples and reminds me of the mushrooms that are popping up in the forest, near where I live righ tnow.